Mio Ace Hardware has been part of Mio for over 30 years. It started out as a small mom and pop style hardware store. 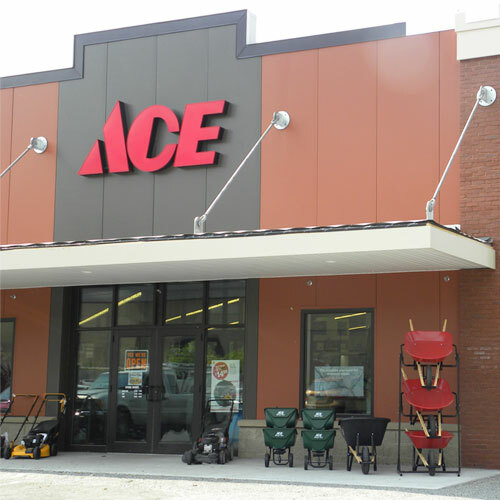 Since then, Mio Ace Hardware has been expanding its core hardware store categories. Along with that, the store has grown adding a Greenhouse a Sporting Goods Section and the AuSable River Gift Shop. The Lanski's took over ownership of the store in May 2005. With a lot of hard work and dedication it has become a friendly and courteous atmosphere for customers to come to when in need of advice, product or a mix of both. Not only is their dedication noted by having the shelves stocked and organized, but by also having the ability to make sure that every customer gets the information and items they need for all their home repairs and improvements.